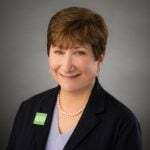 Robin Kornhaber joined APDA in 2015 and oversees the strategy and implementation of all national programs and services for the Parkinson’s community and the Information and Referral network of APDA institutions across the country. She has created and executed APDA’s Spotlight on Parkinson’s Disease National Webinar Series, the PRESS™ Support Program (Parkinson’s Roadmap for Education and Support Services) and the Emergency Responders Training program. Prior to joining APDA, Robin was the Senior Vice President, Development at the American Legacy Foundation, the Senior Vice President for Patient Services at The Leukemia & Lymphoma Society, and the Director of Services and Volunteer Development at the NYC Chapter of the Multiple Sclerosis Society. She has provided consulting services on development and strategic planning to the Fund for Public Health in NY and the Global Institute of Public Health at NYU. Ms. Kornhaber holds a Masters of Social Work degree from the University of Pittsburgh School Of Social Work. She is a board member of Girls for Gender Equity a non-profit based in Brooklyn that remove barriers and create opportunities for girls and women to live self-determined lives.